What the Heck Is Going on with the Final Fantasy VII Remake? Can someone give us a new trailer, at least? Anyone? Anyone? ... Bugenhagen? Final Fantasy VII is 20 years old today, and boy, does it still have some pull. It's been two decades since its PlayStation debut, but we're still learning all kinds of new things about Cloud's influential adventure. Today was also Square-Enix's Final Fantasy 30th Anniversary Celebration event, which took place in Tokyo. We received a release date for Final Fantasy XII: The Zodiac Age, and we learned Final Fantasy XV's beautiful boy brigade will be going Sentai with the aid of DLC, but we heard nothing new about the Final Fantasy VII Remake that caused Final Fantasy fans to go absolutely orangutan when it was announced at E3 2015. We did get to see a new promotional image for the remake. 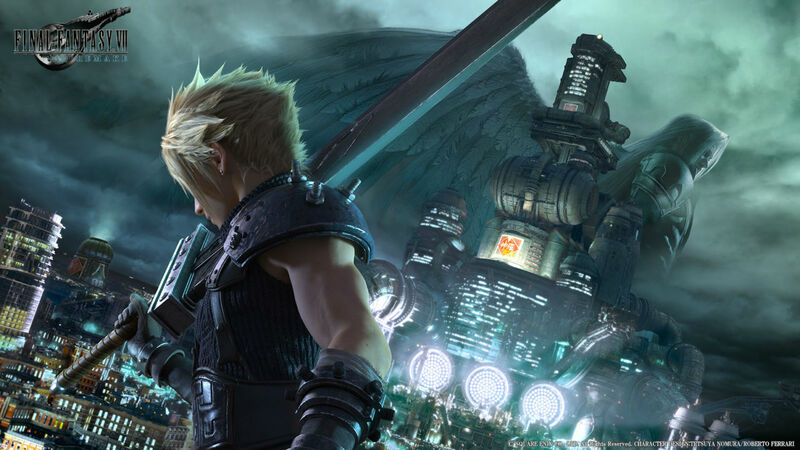 It features Cloud and Sephiroth brooding over a very pretty wide shot of Midgar, which is all lit up at night time ('course, it's always night time in the slums). Not bad, but it feels like Final Fantasy VII's 20th anniversary would be an ideal time to give us some new information about the remake. Currently we know the game is episodic, it's more of a "retelling" than an out-and-out remake, and its action-heavy battle system resembles Final Fantasy XV's brisk skirmishes more than the original Final Fantasy VII's turn-based fights. Other than that, we're in the dark – and we've been told not to expect the game any time soon. The Final Fantasy VII Remake's planned episodic format makes Square-Enix's lack of regular updates worrying. The original Final Fantasy VII isn't a short game, even by today's standards. How long will it take before Square-Enix is finished with every episode of the remake? Imagine missing the final cinema of Red XIII galloping through Cosmo Canyon with his cubs because your great-grandchild happened to lob their rattle at your head at that moment. Sure, laugh now. Then look me up in a decade and we'll talk about where we are with this new and shiny take on Final Fantasy VII. I mean, what little footage we've seen of the remake involves Cloud's first mission, then follows his escape to Sector 7. I'd feel a little more confident if the 30th Anniversary Celebration had revealed anything outside the first hour of Final Fantasy VII's gameplay. Heck, I'd really love to see what Cloud's world looks like beyond Midgar's rusted walls, but something tells me we're a long, long way from getting any kind of a glimpse at the Gold Saucer, Billy's Chocobo Farm, Nibelheim, Cosmo Canyon, and the rest of Final Fantasy VII's vast and varied terrain. The first episode of the remake will almost certainly be restricted to Midgar. I suppose to love Square-Enix is to make peace with the idea of possibly growing up, getting married, and raising offspring while waiting on a single game. Kingdom Hearts fans know the ache of waiting, but at least they just got Kingdom Hearts 2.8 HD to tide them over. Final Fantasy VII fans haven't even received a new Final Fantasy VII Remake trailer in over a year. Got to think positively, I suppose. 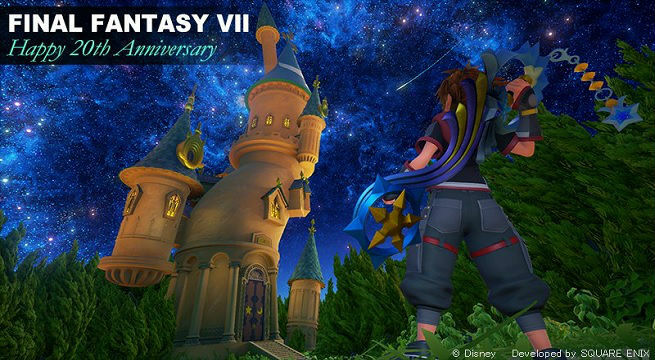 Nomura says we should be seeing some new footage for the remake later this year. Until then, we'll have to make ourselves content with this image of Sora pulling off an admittedly cute Cloud impression. Sora will indeed commit eco-terrorism for the right price. Tagged with Articles,	Opinions,	PlayStation 4,	Square Enix.